No longer do travelers have to head to the coasts of New York and Los Angeles to find a variety of culture and entertainment. The Branson attractions are countless: theaters, elaborate multimedia and music shows, theme parks, family entertainment, and an endless and expanding array of restaurants. But no Branson experience could ever be complete without plenty of hillbilly fun. The Ozarks is known for its own brand of arts and crafts, and visitors to the Branson Craft Mall can experience it all in 16,000 square feet of artisans and their wares. Just moments away are some of Branson’s best condos at Thousand Hills, which include Branson cabins and rental condos ranging from romantic suites for couples to five bedroom town homes perfect for large families and groups. Located right in the heart of the bustling Ozarks’ town, the location offers what few other Branson resorts can: Whatever is happening in Branson is conveniently located for Thousand Hills’ guests. Ultimate guest comfort as the goal at Thousand Hills Resort. Indoor and outdoor swimming pools, jetted tubs perfect for relaxation, and a fully-equipped fitness center work together to make the golf resort the best place to stay in Branson. Appropriately named the Majestic, the two-, three- and four-bedroom lake condos are located just a few minutes from the Branson Craft Mall and the famous 76 Country Music Boulevard. The Majestic is located at a pristine Table Rock Lakefront location nearby the Table Rock Dam and a paved walking trail along the water’s edge. The spacious yet cozy Table Rock Lake feature fully-decked kitchens, including all major appliances, as well as high-end bedding with triple sheeting and pillow-top mattresses that will bring guests’ the sweetest of dreams. All bedrooms have their own private bath, and the master bath will always include a whirlpool tub. Every bedroom also features a television a DVD player as well. 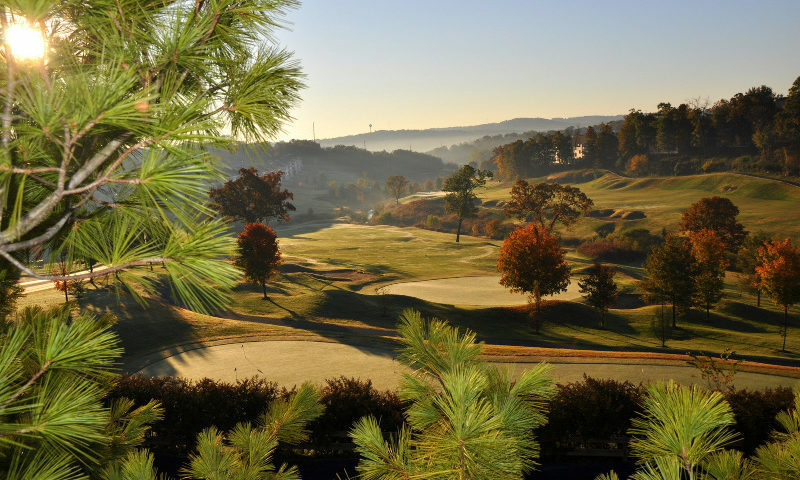 Not only are Thousand Hills’ Branson condos minutes from the Branson Craft Mall, they also are located around the resort’s award-winning 18-hole golf course. Thousand Hills Golf Course was recently voted “Best of the Ozarks” by the readers of the Springfield News-Leader. Golf enthusiasts as well as amateurs enjoy the GPS-equipped golf carts, as well as the largest pro shop in Branson, which offers shoes, shirts, equipment, gifts and souvenirs. Table Rock Lake, which is not only minutes from the Branson Craft Mall, but also is the home of the Thousand Hills condos in Branson, is one of the cleanest, most pristine lakes in the country. The lakefront woods surrounding it are quiet, peaceful and offer a serene place to relax and recharge. In addition to first-class location and sough-after Branson condos, Thousand Hills guests are offered first-class value with the Thousand Hills Platinum Experience. With over $750 in savings to the best shows and attractions in town, this no cost extra perk offered to guests makes the affordable Branson lodging options even more irresistible.